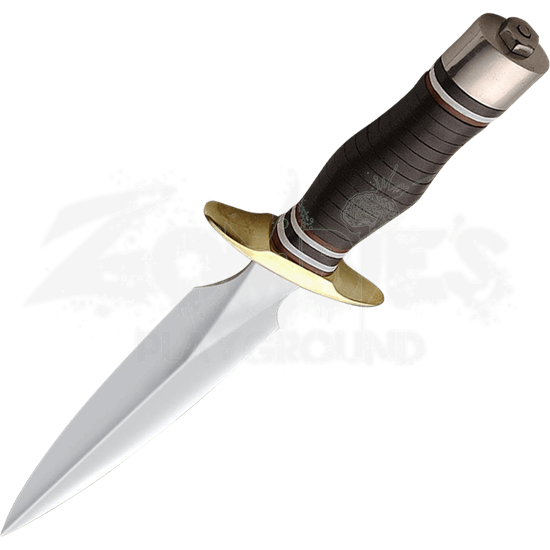 The experts at Windless Steelcrafts meticulously recreated the World War II Fighting Knife from an original from the era, made by a famous maker of the day. 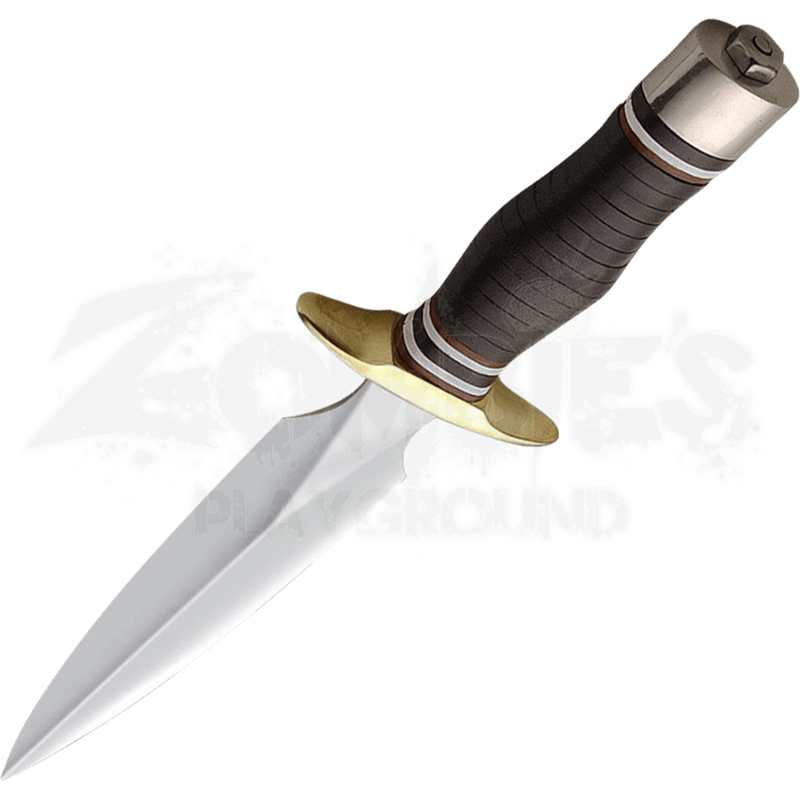 This functional fighting knife is a prized addition to your military gear. The full tang double edged blade is crafted from high carbon steel, offering strength and functionality. A steel pommel and brass finger guard appear on either end of the wooden grip. Leather wrapping and a contoured shape contribute to a stronger hold. A leather belt sheath and sharpening stone are also included.